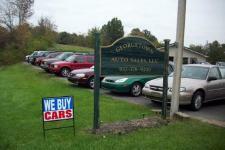 Georgetown Auto Sales is a family owned and operated business. We have been at this location for over 10 years.We have also been in the automobile business for over 20 years and our #1 goal is customer satisfaction before, during and after the sale - and it shows by our repeat business. We try our best to make your buying experience as pleasant as possible. So please give us a try. I'm sure you'll be pleased. Thank You - Bill Resing, owner.